OCS is pleased to announce its last edition of this year December 15th, presemting 3 experimental ‘blinddate+instant composing’ lineups curated by cellist Semay Wu/electroinics + Irina Vainio/dance and viola player Ig Henneman/acoustic. OCS lineups are always unprecedented and experimental in their socila (blinddate) and artistic (instant composing) set up. Come by if you are around! OCS @ BIMHUIS > Januray 10th 2015. Curated by Marije Baalman/electronics + Kenzo Kusuda/dance + Raoul van der Weide/acoustic. 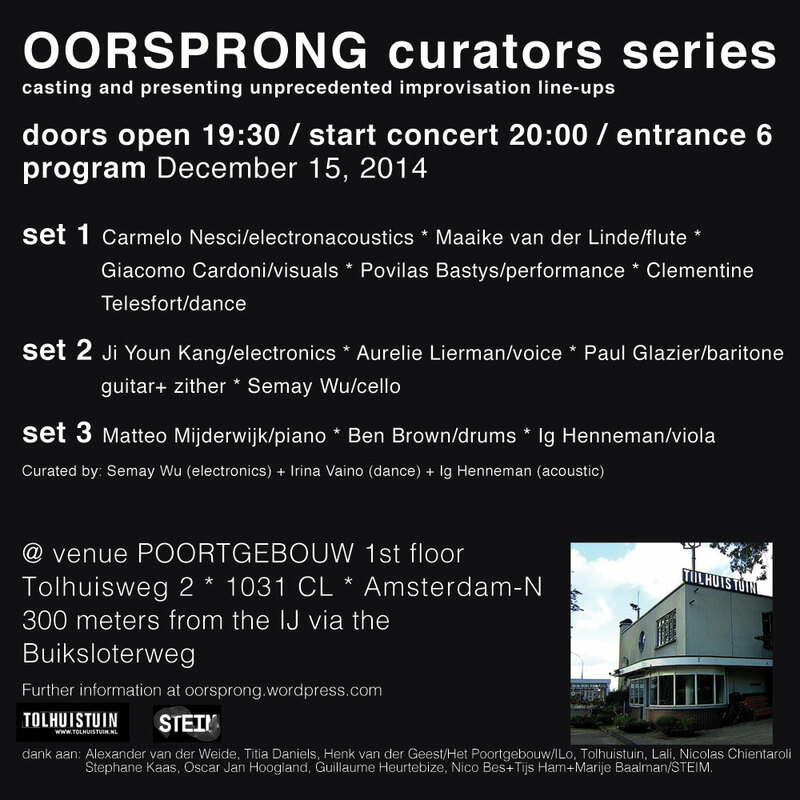 OCS had the honbour to be invited by the BIMUIS on January 10th 2015 in order to co-clebrate BIMHUIS” 40 years of existence as a consistently productive, adventurous and leading jazz/improvisation venue worldwide. Big thanks for this invite to BIMhuis’ all time programmer since 1974 > Huub van Riel.